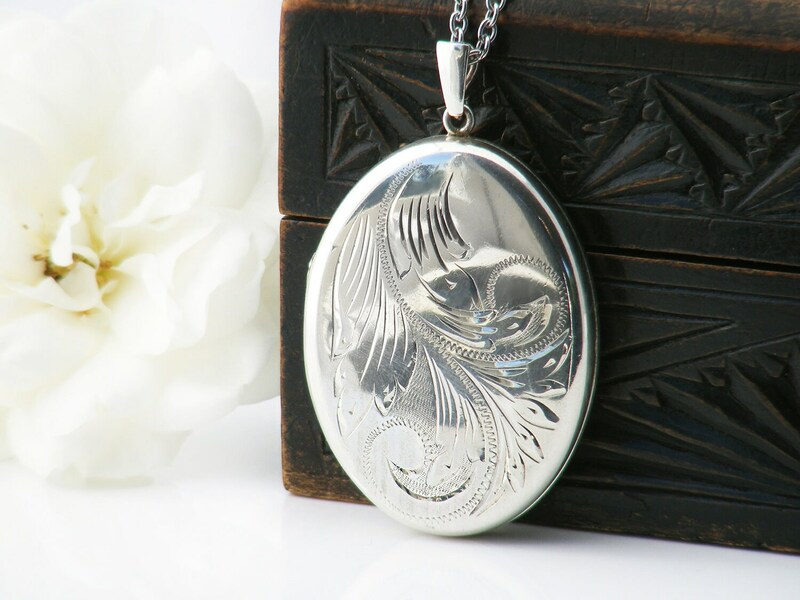 A larger sized vintage locket in highly polished sterling silver, chased with curving feathered acanthus flourishes to the front. 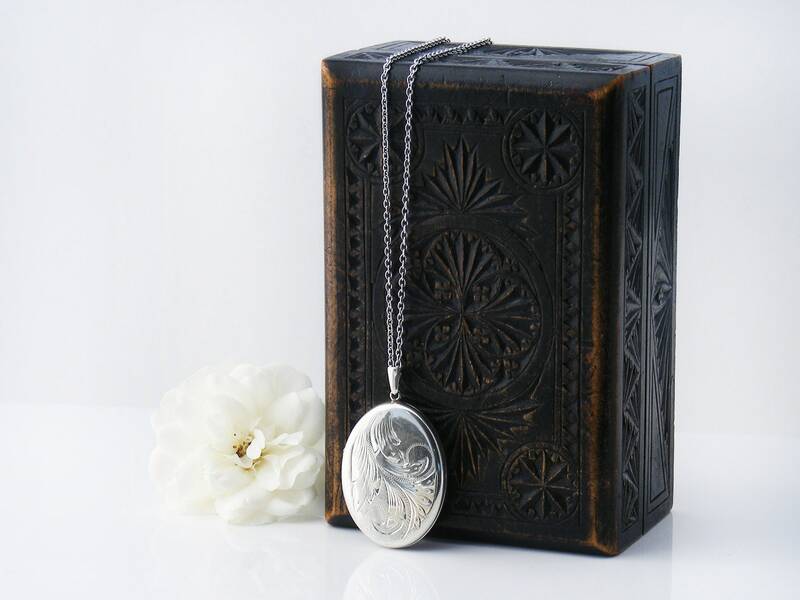 With softly rounded edges, this is a nicely tactile locket. Sterling Silver with a 'Common Control' hallmark for Birmingham, England and the maker's mark 'CC'. 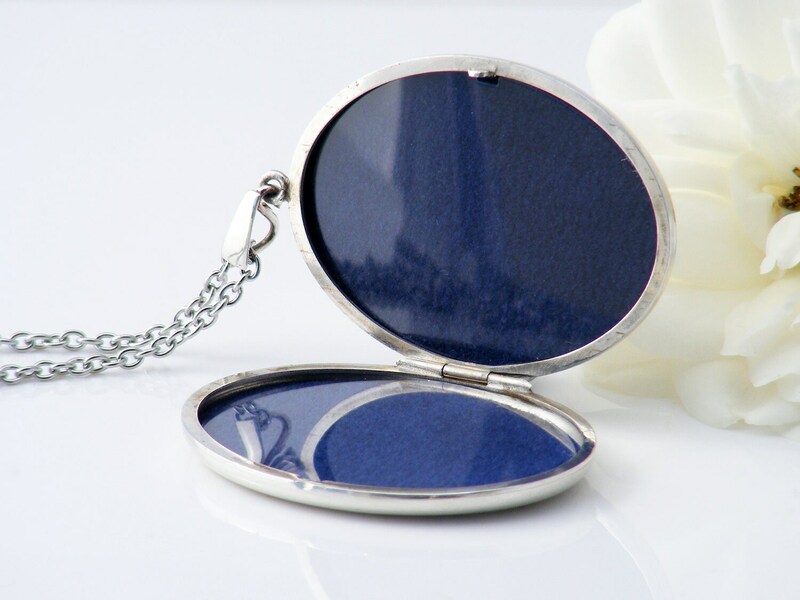 Both original blue velvet liners are in place together with overlay films., This type of locket does not have retaining rims as images tuck under a recessed lip. 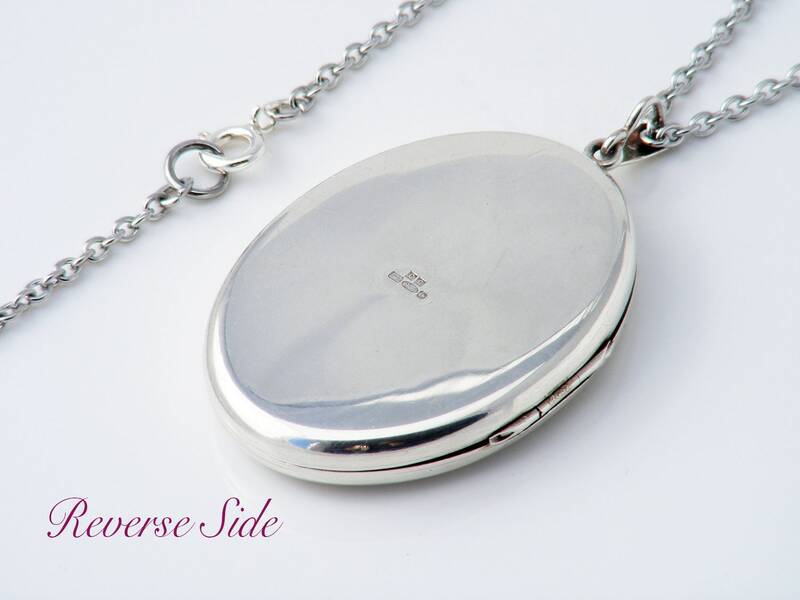 A larger locket, 1.22 x 1.65 inches (31 x 42mm) with a slim profile, approximately 5mm in thickness. Presented on a 34 inch or 86cm stainless steel chain. The color of stainless steel suits aged silver well and is hypoallergenic. Shown on a life size torso in image #3. Condition: Very, very good. Only mild surface wear, no nasty scratches or dents. Closure is tight and firm, hinge excellent. 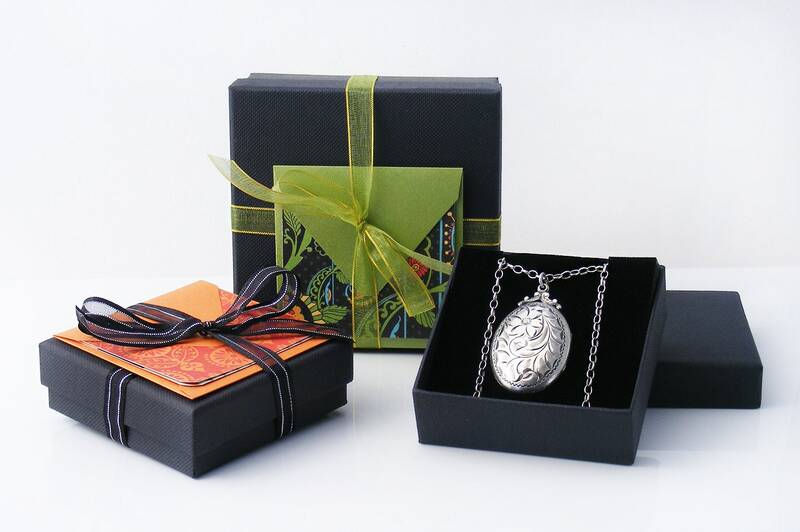 Please note: any dark or blue patches are camera reflections of a bright New Zealand sky and are not on the locket. 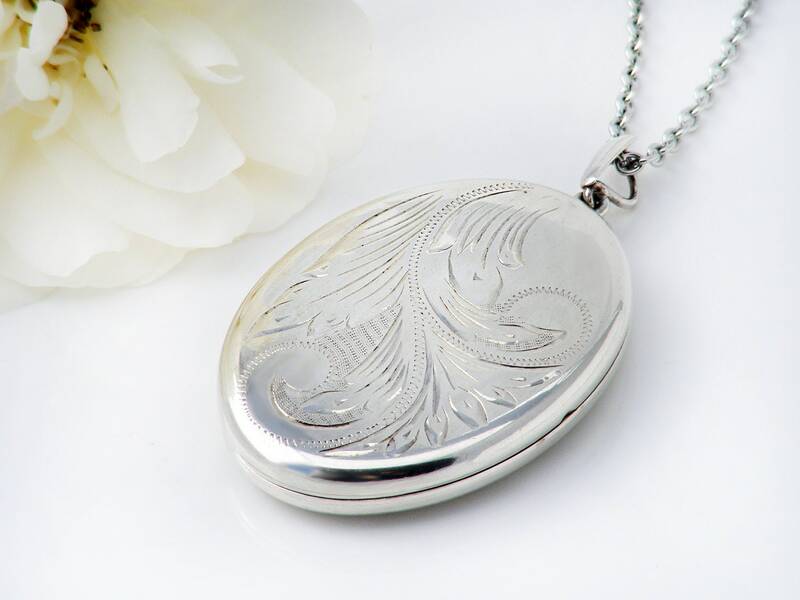 English sterling silver lockets from the seventies and eighties have withstood the test of time - they are nicely weighted, beautifully made and nice to handle.